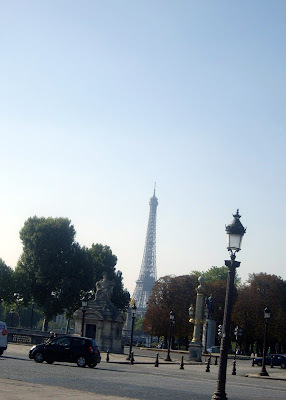 I will preface this by stating that Paris is my happy place. When people say it's the most romantic city in the world you just have to believe them. Having been there alone numerous times the feeling of joy, love and overall contentment that I feel while I'm aimlessly wandering around the city is indescribable. I fall in love with life and any misery and sadness I felt prior to that visit just melts away with every step. I always feel like I'm walking on clouds. This city is wonderful because of the history, architecture, food, language, fashion, etc. I envy the people that live there and feel awful for the ones that haven't been. I highly encourage everyone to go. It had been a long time since I had been in Paris and was there for two days before my cousin Jennifer arrived. I rented a wonderful apt through airbnb.com on Rue des Abbesses that was also a gallery and lucky for me it was within walking distance to the Moulin Rouge, Sacre Coeur and many other wonderful sights. The photo above is one of my favorites from that trip.